FLINT, Mich. - A research team with the Flint Area Community Health and Environment Partnership research team found that the majority of Legionnaires’ disease cases from the outbreak in Genesee County from 2014 to 2015 can be attributed to the change in the city’s drinking water supply to the Flint River. Using a statistical analysis of multiple datasets, the team found that there was increase in the risk of acquiring the disease across the Flint water distribution system and an estimated 80 percent of cases can be credited to the switch. 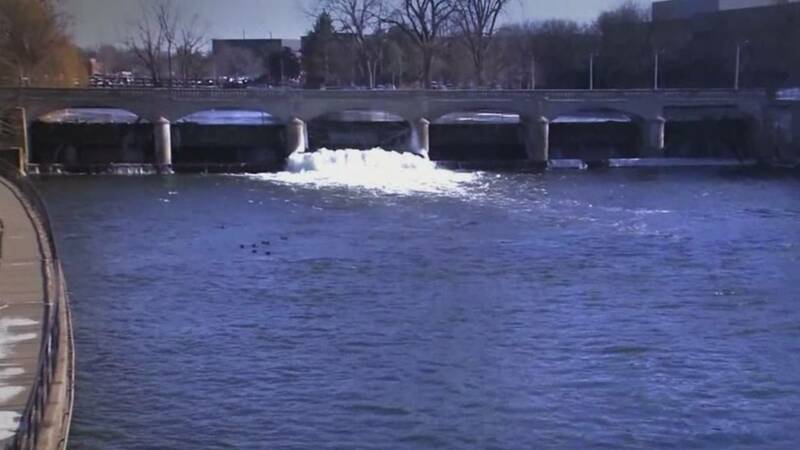 "During the period when their water was supplied from the Flint River, Flint residents were seven times more likely to develop Legionnaires' disease," lead author Sammy Zahran said. "After public announcements urging residents to boil their water, there was a lower risk of developing the disease, likely because people avoided using their water." The findings were part of two peer-reviewed scientific reports recently published in the academic journals Proceedings of the National Academy of Science and mBio. "Our study shows that during the water crisis, the risk of a Flint resident having Legionnaires' disease increased as the amount of free chlorine in their water decreased," said Shawn McElmurry, associate professor of civil and environmental engineering at Wayne State University and principal investigator of the FACHEP. The Michigan Department of Health and Human Services (MDHHS) recently learned that Wayne State University, the University of Michigan and Colorado State University will publish two journal articles based on data from the Flint Area Community Health and Environment Partnership (FACHEP) project. Previously, FACHEP provided MDHHS with a draft of these journal articles which claim to explore the statistical relationship between the change in water source and the incidence of Legionnaire’s Disease in Flint and other Southeast Michigan counties and the prevalence of various strains of legionella found in the cities of Flint and Detroit. MDHHS reviewed the draft articles as did an external, independent third party, KWR Watercycle Research Institute (KWR). KWR was asked to review the FACHEP project on behalf of the Michigan Department of Management and Budget. Both MDHHS and KWR found numerous flaws in the articles which were brought to FACHEP’s attention and appear to remain unaddressed. By publishing these inaccurate, incomplete studies at this point, FACHEP has done nothing to help the citizens of Flint and has only added to the public confusion on this issue. The researchers not only failed to accurately describe conversations with MDHHS, but utilized variables in their dataset that inaccurately reflect the timing associated with cases of Legionnaires in Flint. Researchers also overestimate the risk to public health by focusing on a strain of the bacteria, serogroup 6, that is not typically associated with Legionnaires’ disease. FACHEP acknowledges that 16/18 of the environmental isolates that it found were serotype 6. Not a single case of serogroup 6 Legionnaire’s Disease was identified in Genesee county, despite widespread use of legionella cultures. As even FACHEP recognizes, more research is needed to evaluate the risk of this strain. Publishing this report now, however, implies that a public health risk exists when there may not be one. Based upon concerns over FACHEP’s methodology, the State of Michigan informed FACHEP that it was only willing to continue the partnership under the independent review and oversight of KWR. FACHEP rejected the State’s offer to continue under these conditions.